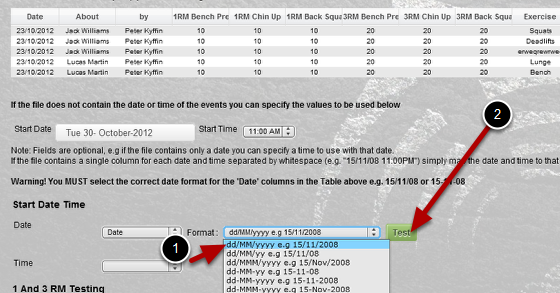 When you import in new data you must carefully match the date format to the format of your csv spreadsheet. 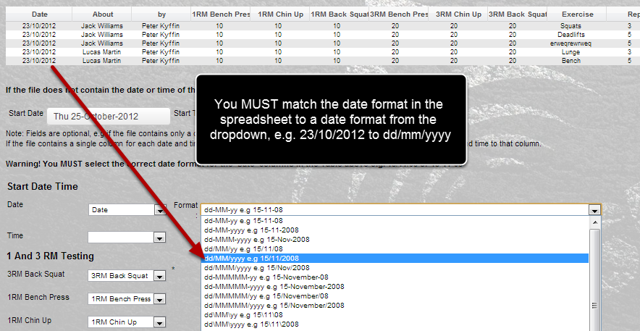 Zoom: When you import in new data you must carefully match the date format to the format of your csv spreadsheet. If you did not map the dates correctly an error would occur and none of the data would be imported or it might be imported for the wrong date period! 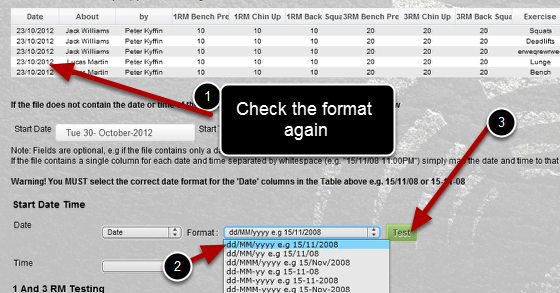 Select the Date format that you think matches the Date format from your spreadsheet and click on "Test"
#1: Click on the dropdown and match the date format from your spreadsheet to a format from the dropdown. #2: Click on the Test button. If the message that appears says "Converted" you have selected the correct date format. Look for the Converted message and also check that it will import for the correct date (GMT is short for Greenwich Mean Time). Click OK and continue with the import. The image here shows the message "ERROR: Missing value in row 1, 2,, 3 etc). This means that the system is trying to correctly match the dates from one of the date columns, but there was no data in that column row to map to. You will see this error when you have a blank cell in a date column. 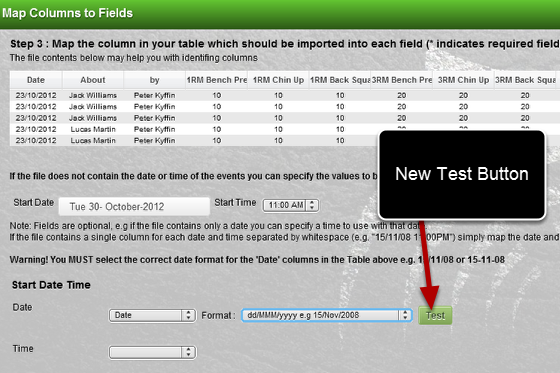 As long as any other date fields in that column say that they are mapped correctly, the data will import successfully. -If "Converted" appears in message continue with the import. 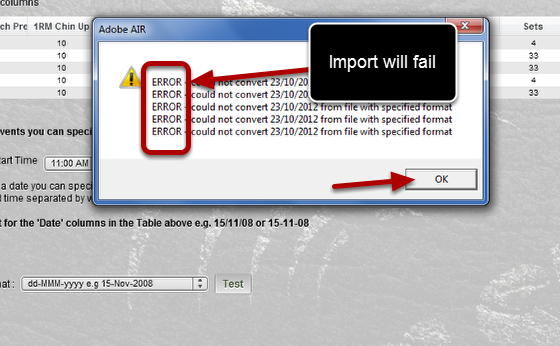 If "Error-could not convert" appears keep on trying different formats.